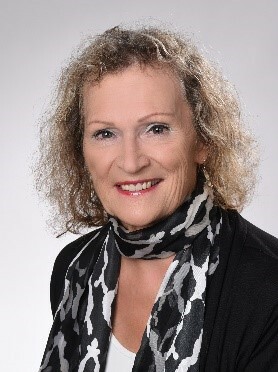 Dr. Karin VanMeter studied Biology at the Paris-Lodron University of Salzburg where she received her doctorate in 1978. Her dissertation dealt with the three-dimensional fine structure of the hypothalamus and other various regions of the brain. Her extensive training in scanning and transmission electron microscopy led to a postdoctoral position with a leading scientist in the area of the hypothalamo-neurohypophysial system at the Iowa State University of Science and Technology (USA). After working in the Department of Anatomy she switched to the Department of Physiology and Pharmacology concentrating on studies on the brain and spinal cord after acute and chronic exposure to anticholinesterases. Dr. VanMeter then worked at the University of Maryland Medical School for four years, her research focus still on anticholinesterases. During this time, she discovered changes in the ultrastructure of neurons in the hippocampus spiking her interest in neuronal aging and neuropathology of neurons. Dr. VanMeter and her husband, a leading neurophysiologist, decided to return to Iowa seeking a position to allow more time for their young children. While she continued her research at Iowa State for several years, she was seeking a teaching assignment, again to be able to spend more time with her family. While previously teaching in the professional and graduate programs she now started teaching at the undergraduate level as well. In 2006 Dr. VanMeter was asked to write a textbook in Microbiology, followed by a textbook in Pathophysiology. In 2004 she returned as a lecturer in the Department of Biomedical Sciences of the College of Veterinary Medicine at Iowa State. Dr. VanMeter retired early and came back to Austria to aid in the care for her mother. During this time she started and is continuing as a guest lecturer at the Austrian Biotech University of Applied Sciences, and also is giving presentations in the field of neuroscience and aging. Abstract: The autonomic nervous system (ANS), also referred to as the ‘involuntary nervous system’ is the part of the peripheral nervous system supplying internal organ systems and glands. It consists of three portions, the sympathetic, parasympathetic, and enteric divisions, all of which largely regulate bodily functions unconsciously. The ANS plays a major role in homeostasis and adaptive functions and thus response to internal and external stimuli. Examples of external stimuli are changes in light, temperature, and general environment. The sympathetic branch regulates metabolic resources and coordinates the emergency response – “fight or flight”. The parasympathetic division is responsible for “rest and digest”, while the enteric branch is considered separately because of its location. While sympathetic activity is increased during the day, parasympathetic activity becomes more active during the night when regeneration occurs at the cellular and organ level, as well as the mental level. From an Information Systems (IS) perspective, the ANS is critical, for example, due to its role in stress processes. This talk describes fundamentals of the functioning of the ANS. Because reviews of the literature revealed that measures of ANS activity (e.g., pupil dilation, heart rate, blood pressure, skin conductance) play a significant role in NeuroIS research, this talk deals with a fundamental NeuroIS research domain.